Your diet plays a huge role in how your body manages oral thrush – eating plenty of unsweetened yogurt is a great way to both reduce the current infection, and prevent further ones. How does unsweetened yogurt work? Since thrush is caused by an excessive number of candida colonies in your mouth, keeping them under control is essential in overcoming thrush. One of the best ways to do so is getting plenty of probiotics. Unsweetened yogurt is full of them. 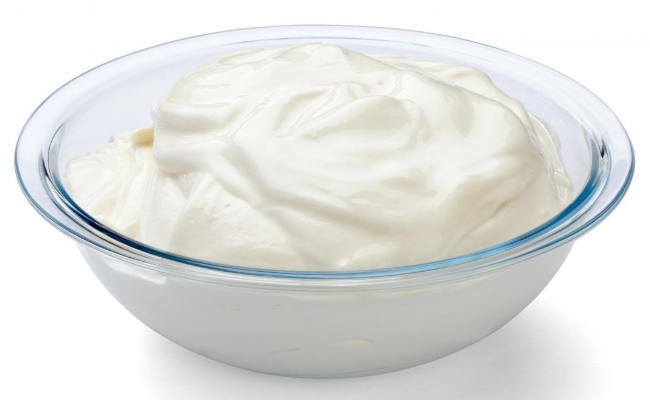 Unsweetened yogurt contains a bacteria called Lactobacillus acidophilus, a probiotic shown to reduce the spread of candida albicans by lowering the PH level in the gut. Of course, the most obvious way is to eat it. Three cups a day should do the trick, but, depending on the severity of the infection, you may want to eat more. Additionally, you can also apply it directly over the infected regions, thereby allowing the bacteria to stay longer in contact with the candida colonies. Once you’ve kept it in your mouth for 10 minutes, spit it out and rinse with mouth. You should do this for as long as necessary, since there are no negative side effects. The best solution is to mix a probiotic-rich diet with other antifungal medication. As you’re taking the treatment, the space taken up by candida albicans will be filled by probiotics. This will help you prevent any further infections and accelerate the effect of the antifungal. Unsweetened yogurt is safe for most people, but you should contact your doctor if you’ve got lactose intolerance. Unsweetened yogurt is a good way to supplement any thrush treatment. It will speed up the healing process and it will prevent further infections, even though it’s not likely to cure thrush by itself.